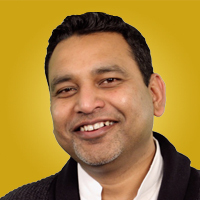 Faisal Hoque is a self-professed “devoted student of life, entrepreneurship and humanity.” He left his native Bangladesh at age 17 to pursue a new life in the United States. By day, he pursued a degree in engineering and by night he worked as a janitor on the graveyard shift. From this humble start, he went on to found a number of companies, including Shadoka. His firm’s portfolio of R&D driven companies accelerates individual and organizational sustainable growth. He is the author of several books, regularly contributes to Fast Company and The Huffington Post, and his work has appeared in The Wall Street Journal, BusinessWeek, Forbes and Leadership Excellence.